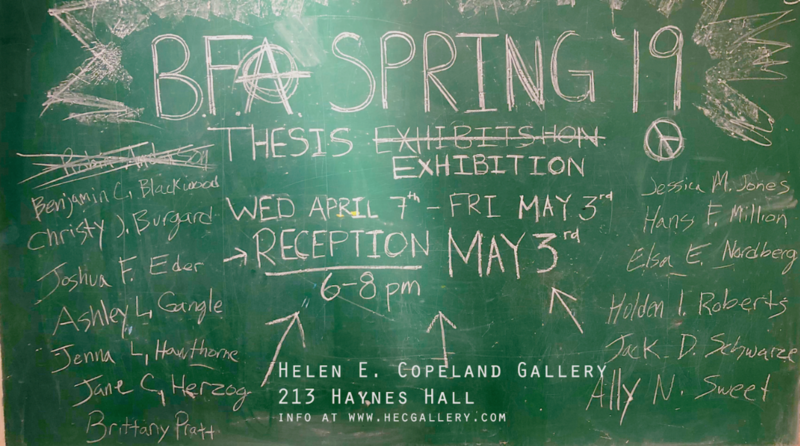 Montana State University School of Art invite the public to the MA in Art History’s 2012 defense of thesis presentations by MA candidates Lindsay Glick and Jennifer Garcia. The thesis presentations are taking place in Cheever Hall room 214 on Thursday 5 April 2012, 1:15 pm – 4:15 pm. 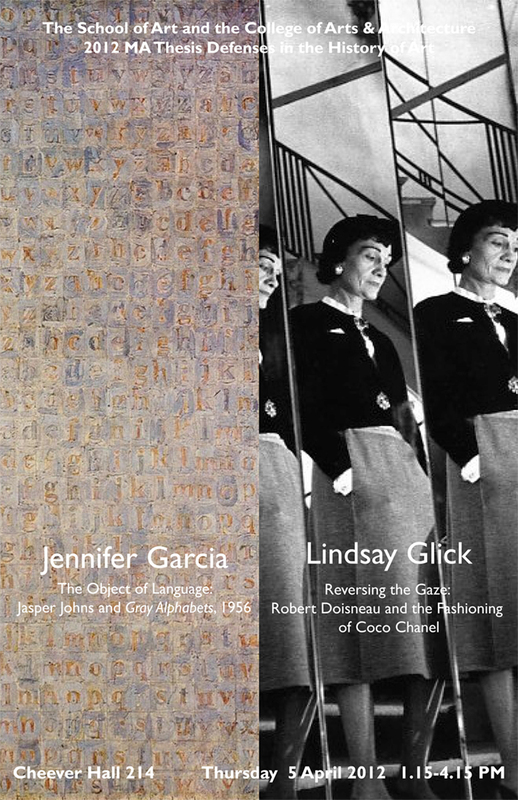 Lindsay Glick will be presenting “Reversing the Gaze: Robert Doisneau and the Fashioning of Coco Chanel”. Jennifer Garcia will be presenting “The Object of Language: Jasper Johns and Gray Alphabets, 1956”.